Keep your business communications simple and direct with text message. We send to all US and Canadian cell phone carriers. 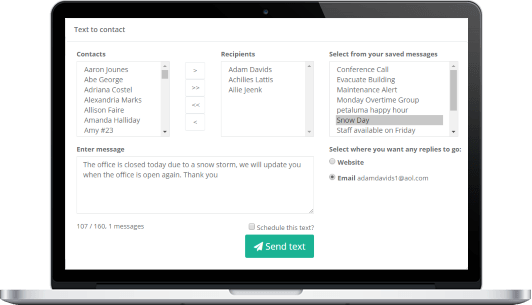 No more wasted calls, voice mails and emails being unnoticed. Built with the latest security measures to ensure that every text message is delivered and stored securely within your portal. Text messages are delivered immediately to each cell, ensuring direct communications with your customers and staff. Our system is monitored 24/7 to ensure an optimal service for every text you send or receive. 98% of recipients read their texts when received making text message the most logical solution for immediate communications. Available wherever you have internet access. You can send texts to every US cell carrier. You’re always in control of your account. Opt in and opt out at any time. "We follow up with our customers via MercurySend text message to make sure they are 100% satisfied with our service and our customers text us back immediately." "Hiring and recruiting directly has never been easier I simply send a text to my potential candidates and within minutes I have replies." "We text message all our staff for any immediate building maintenance and health/safety issues or reminders for the next day. It’s been a great when reminding the office is closed on snow days and to reinforce when to evacuate for a real emergency." "For over three years we have used MercurySend for our time critical communications. 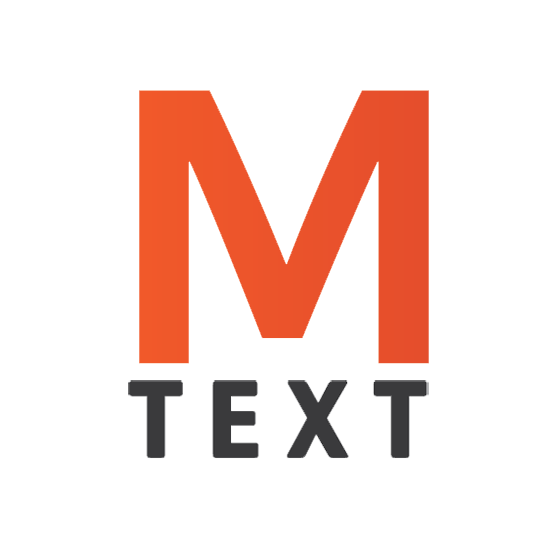 The service is always reliable at any time of the day and I highly recommend MercurySend to any business that needs an immediate and reliable text message platform." "During Hurricane Sandy we lost the ability to communicate with our staff via email because our Manhattan Office which houses our server lost power. The only way to communicate with all staff was via text. We used MercurySend to send anywhere from 3 - 10 text messages a day that week and the text alerts sent during the storm to more than 200 staff arrived in less than 5 minutes. Staff were able to reply to the messages and we could then reply to them via MercurySend. I would highly recommend it to anyone wanting a direct and effective means to communicate with all their staff." "Working with large film and production crews we've used MercurySend to send reminder texts about immediate changes to schedules and details for each day during production or rehearsals. It's helped with ensuring everyone is informed and there is no more confusion with missed emails and calls." Property Management Groups are seeing the benefits to using text message.